Ragtime emerged as a form of music towards the end of the 19th century, and this was one of a number of musical styles which had their roots in this time period. This increasing diversity resulted from the fusion of African and European musical ideas in the Southern States of the U.S. It wasn't so much a deliberate crafting by music scholars, but more the result of experimentation and informal learning by example, often by self-taught musicians who played in streets and bars. This informal folk music became formalised into Ragtime by composers like Harney and Joplin who played the music to large audiences and published it so that its popularity spread across the country. In its purest form Ragtime was played as an instrumental on a solo piano, an instrument which most honkytonk bars and saloons possessed. The word Ragtime means "syncopated time", the main characteristic of these pieces being the Right Hand playing a syncopated tune while the Left Hand plays a simple regular line of alternating bass notes and simple chords, not unlike the "Alberti Bass" used in classical music by the likes of Mozart and Haydn. Despite the fact that the Right Hand syncopations were far in excess of anything produced in classical music, the structure of these pieces was nevertheless quite strict in a classical sense. They were usually in 2/4 time, and consisted of a number of contrasting 16 bar sections (sometimes with a middle "trio" section), with repetitions and returns to previous sections or a "Da Capo" (return to the begining). This structure is similar to the classical form known as a Rondo, and to various dance forms and marches. Indeed ragtime may have drawn some inspiration from the military style marches of John Philip Sousa (1854-1932). Towards the end of each section or phrase there might be rising bass lines, changing harmonies or accidentals to give colour and emphasis to the cadences (phrase endings). Another possible inspiration to Ragtime composers is the classical composer Louis Moreau Gottschalk (1829-1869) who almost anticipated ragtime with some of his lighter piano works which exhibit a blend of influences including Carribean music. Ben R. Harney was one of the first practitioners to bring ragtime to the Vaudeville shows in New York. An all round entertainer, he did much to popularise ragtime allowing it to spread beyond its humble beginings. He was closely followed by Scott Joplin, who with the publication of the Maple Leaf Rag had the equivalent of a top ten hit. It's easy to see why this style became popular. 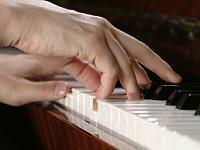 The tunes and rhythm are "catchy" and foot-tapping, the syncopations lively and with humour (often poking fun at serious or pretentious music), and anyone with a piano could participate. Joplin continued to lead this new art form producing a large number of piano rags, many named after dances such as Two Steps, Cake Walks and Slow Drags, and even demonstrating that ragtime could be adapted with different time signatures including the 3/4 Waltz time. Although many performers had a tendency to play ragtime very fast for comic effect, Joplin frequently indicated on many of his rags that they should be played quite slow or "not fast", and the piano rolls which he created and left for posterity demonstrated the desired slow tempo. Such piano rolls are the main audio record of the ragtime era, because this was before the days of recorded music. Instead the commercial aspect of the music business was driven by the supply of sheet music. In those days many more homes than today had a piano, and so sheet music sales plus live performances were the main source of income for ragtime composers. Ragtime was an influence on songwriters of the day, who wrote songs called rags although they were only loosely based on the conventions of genuine ragtime. Many of Ben R. Harney's works were songs and among other songwriters, there was Irving Berlin who wrote "Alexander's Ragtime Band" and "Everybody's Doing It" among many other popular songs. The composer Eubie Blake (1887-1983) published his "Charleston Rag" in 1915, but then turned to songwriting with the Broadway musical "Shuffle Along" which included the song "I'm Just Wild About Harry". Felix Arndt (1889-1918) a composer of light popular music best known for "Nola" also used elements of ragtime, and he was in turn an influence on George Gershwin. Thus it is not an exaggeration to say that ragtime has had an impact on the development of modern song-writing, and popular songs now frequently use lots of syncopation. In the same way that Jazz was later to influence classical composers like Ravel, Ragtime also had an influence on some classical composers. One of those was Claude Debussy who wrote a number of piano pieces in this style, including the Golliwog's Cakewalk, while Erik Satie used ragtime in his piano piece "Le Piccadilly" and fragments of ragtime in his ballet music "Parade". Igor Stravinsky was also inspired when he left Russia and heard jazz and ragtime music in France, and as a result he composed his "Piano Rag Music" though this work is not true ragtime but an impressionistic piece with only subtle hints of ragtime and jazz. A small number of ragtime pieces use a musical device called "stop-time" where the rhythmic pattern of the music seems to pause for a few bars before generally resuming. In his "Rag-Time Dance" (subtitled "A Stop Time Two Step" and published in 1902), Scott Joplin introduces stop-time towards the end of the piece. The left-hand rhythm stops and Joplin indicates in his score that the pianist should stamp the heel of one foot to maintain the beat. The halting motion in his "Rag-time Dance" was used to good effect on the soundtrack to "The Sting". Joplin later released a piece called "Stoptime Rag" which uses foot-stamping throughout. Although there are analogues of "stop-time" in classical music, these ragtime works seem to be one of the earliest uses in popular music and stop-time later became an important musical device in jazz and blues music. The "middle eight" and "bridge" are related structures used frequently in popular music and many ragtime pieces seem to have anticipated this need with a similar device, though often 4 bars in duration rather than 8. This "middle eight" in ragtime music acts like another introduction in the middle of the piece, often heralding the final or penultimate section of the music or acting as a short bridge before a return to repeat a previous section. Ragtime was less popular by the 1920s by which time Blues music was gaining in popularity. Indeed W. C. Handy (1873-1958), often called The Father of Blues, composed a few ragtime works (such as Pattona Rag and Ole Miss Rag) before turning almost exclusively to Blues. In the 1920s Jazz music was also making an impression which unlike ragtime placed an emphasis on improvisation. 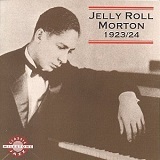 Many early Jazz pianists such as Jelly Roll Morton (1890-1941) and Fats Waller (1904-1943) also came from a Ragtime background, and built upon ragtime traditions while introducing new techniques such as a swing rhythm. A lot of Morton's works are called "Stomps" which seem to develop the concept of "Stoptime", such as his "King Porter Stomp" composed in 1905 but not published until many years later. Pure Ragtime was unstoppable however and made a number of comebacks. Both ragtime and boogie-woogie piano were popularised in the 1950s and 60s by Winifred Atwell who played and recorded her own versions of various pieces in these styles such as the "Black and White Rag". Then there was a major revival of fortune for ragtime music when Marvin Hamlisch used Joplin's music extensively in the soundtrack to the movie The Sting. 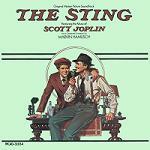 "The Sting" soundtrack included The Entertainer as its main theme, together with Solace and other rags, played in the original piano versions or as arrangements. More recently the soundtrack to The Curious Case of Benjamin Button included another Scott Joplin piece at the end of the movie, called Bethena: A Concert Waltz. Certain film composers have composed new tracks in a ragtime style for their film scores. Two of the best known examples of this are when John Williams used a fusion of alien ragtime, jazz and latin for the "Cantina Band" music in the original "Star Wars" (IV: A New Hope), while Jerry Goldsmith composed the "Gremlins Rag" (with whacky electronics) for the film Gremlins. Some other tunes with lots of syncopation are not authentic ragtime but owe the genre a debt, such as Alan Silvestri's Feather Theme in "Forrest Gump" and Hans Zimmer's theme for "Driving Miss Daisy". And in the world of musicals for stage and film, there are set pieces such as the famous "Herod's Song" from Andrew Lloyd Webber's Rock Opera "Jesus Christ Superstar". Ragtime music also found a niche providing background music for many early computer games, particular those titles involving cartoon characters exploring levels and solving fun puzzles (see our article video game music history for more detail). Sometimes existing ragtime pieces would be employed directly such as on the "Repton" series released for the BBC micro and other platforms. The original Repton game used George Botsford's "Black and White Rag" and the sequel Repton 2 used Scott Joplin's The Chrysanthemum. The arcade game "Ms. Pac-Man" (later converted to NES) used a short original ragtime piece for its "Chase" music. Also on Nintendo platforms, Koji Kondo used a lively amalgam of ragtime and calypso styles for his music to the original "Super Mario Brothers". The Super Mario Brothers Theme stayed with the game series in a variety of different arrangements. More recently the TV Series "Westworld" has used some ragtime music (among many other classical and popular tracks). For the most part the ragtime is associated with the saloon bar, which is in keeping with the origins of the genre. So far in Series 1 we've spotted "Pineapple Rag", Peacherine Rag and "Weeping Willow Rag" all by Scott Joplin. Now scroll down the page to find links to ragtime sheet music by Scott Joplin, James Scott and other composers. We list just a few of the better known ragtime exponents, and some of their works. E. J. Stark (Etilmon Justus Stark) was the son of John Stillwell Stark, the publisher who published many famous pieces by Scott Joplin and other ragtime composers. E. J. Stark was a music instructor at the Marmaduke Military Academy in Missouri, and then bandmaster at the Wentworth Military Academy where one of his first compositions was "The W.M.A. Cadets' March" in 1898. He went on to compose a number of ragtime works which were published by his father including Kyrene (1903) sometimes published as "Classical Rag" because it uses techniques associated with classical music such as counterpoint. His later Billiken Rag (1913) also featured some classical elements. He also supported his father's business helping transcribe ragtime works by composers who couldn't notate their own works, and by making arrangements of other's ragtime pieces. His ragtime orchestrations (collectively given the nickname "The Red Back Book" due to its colour) were many years later the inspiration for director George Roy Hill, who then asked Marvin Hamlisch to arrange The Entertainer and other pieces for his movie "The Sting". Since Stark survived into his 90s, his knowledge of the major contributors to ragtime became a key input to the book "They All Played Ragtime" by Blesh and Janis. Fred S. Stone (Frederick St. Clair Stone) was born in Canada, and his family moved across to Detroit and became U.S. Citizens when Fred was a boy. Fred and his older brothers Charles and William were musicians and played various brass instruments in various Bands in the Detroit area. Fred started composing at the age of 18, and published several marches, waltzes and other dances. His first ragtime success was "Ma Ragtime Baby" which was originally published in 1898 as a piano instrumental, and then quickly republished as a song with lyrics provide by his brother Charles. It would appear that Detroit was a centre for new music, long before it was called "Motown", and Fred was active playing, conducting and arranging for local Bands, while continuing to publish ragtime pieces including "Bos'n Rag" in 1899, "Sue" in 1902, "Belle of the Philippines" in 1903 and "Belinda" in 1905. Stone was also an active participant in the black musician's union in Detroit, but he died in 1912 in an unfortunate accident boarding a trolley car before reaching his 38th birthday. Bos'n Rag - also with a "catchy singing chorus"
George Botsford was another American composer who helped to pioneer ragtime with his first publication being "The Katy Flyer Cake Walk" in 1899. He was born in South Dakota and grew up in Iowa, where he received a formal musical education and gained experience as a performer. He published both ragtime and non-ragtime works, with his most famous piece being the "Black and White Rag" which he published in 1908. Although this work was popular in many decades, it became well-known in the UK when it was used as the theme tune to the Snooker television programme "Pot Black". Another popular work was the Grizzly Bear Rag which became a song when Irving Berlin added lyrics to it. Using animal names for music and songs was popular at the time, and this is when the "Turkey Trot" and "Fox Trot" originated. Botsford moved to New York and worked in Tin Pan Alley as a successful Bandleader and arranger. Scott Hayden was another young Missouri-based musician who learned ragtime from Scott Joplin. Together the two men wrote the "Sun Flower Slow Drag" and three other popular rags. In his short life Hayden did not complete any of his own composition - "Pear Blossoms" was unfinished when he died in 1915. Morton was one of several composers who claimed to have composed the "Tiger Rag" (or "Hold that Tiger") which became a standard for Jazz Bands. Irving Berlin was an American composer and song-writer of Jewish Russian origin. 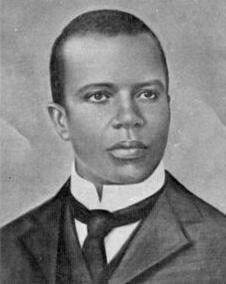 He was certainly not a true ragtime composer like Scott Joplin, but he incorporated the syncopation of ragtime into popular song to become one of America's best known composers. His first big hit in 1911 even mentioned ragtime - it was of course "Alexander's Ragtime Band". In a way he softened the strict form of ragtime, to create accessible and popular song forms (often performed as a dance) which caught the public appeal at a time when recorded music was becoming more common. There is some controversy about the melody in "Alexander's Ragtime Band". Scott Joplin felt that Berlin had taken the idea from "A Real Slow Drag" (a song from his opera Tremonisha). He showed Berlin the score but Berlin went ahead and published his song anyway, and then Joplin revised his "Real Slow Drag" so that people would not accuse him of stealing from Berlin. Nevertheless, though he wasn't a ragtime composer, Berlin kept the idea of ragtime in the public consciousness and "Alexander's Ragtime Band" became a musical in 1938, and the song was also used in the musical "There's No Business Like Show Business" in 1954. 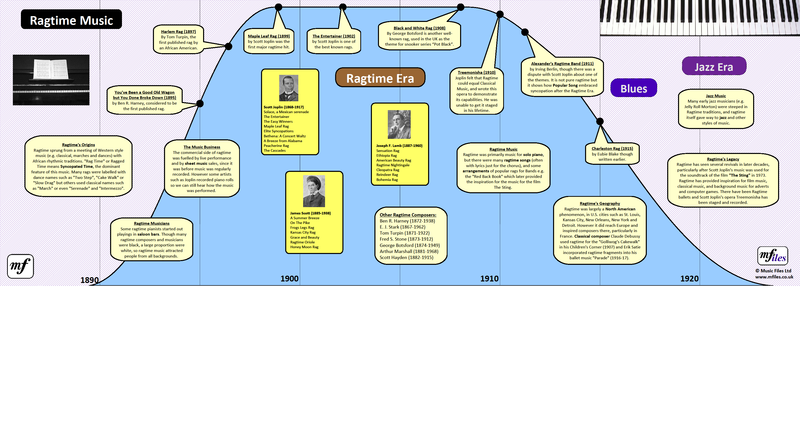 An infographic is available which illustrates the Ragtime Era, showing major events on a timeline and summarising the main features of ragtime music and its key composers. The infographic is available in two formats: horizontal and vertical, and below is a small version of the horizontal infographic. Click the image to view a larger version in a separate window or tab, or here is the Ragtime Era Vertical Infographic. Both can be printed like a poster to put on a wall. Although my piano teacher tended to disapprove of anything non-classical, as a boy I discovered and enjoyed various non-classical forms of music. One of those discoveries was a sheet music book of ragtime which included the "Black and White Rag" and other items. This was before the Ragtime revival triggered by "The Sting" so I feel as though I discovered Ragtime before everyone else! There is something about that era which is so appealing. Fortunes and reputations where there for the taking, and the music was so informal and inclusive. Everyone with a piano could join in. Of course I've tried writing my own ragtime music, and here's a piece on Soundcloud which I wrote back in 1999 called Ragtime for Bedtime. 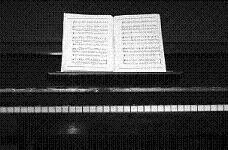 The sheet music is available on ScoreExchange.